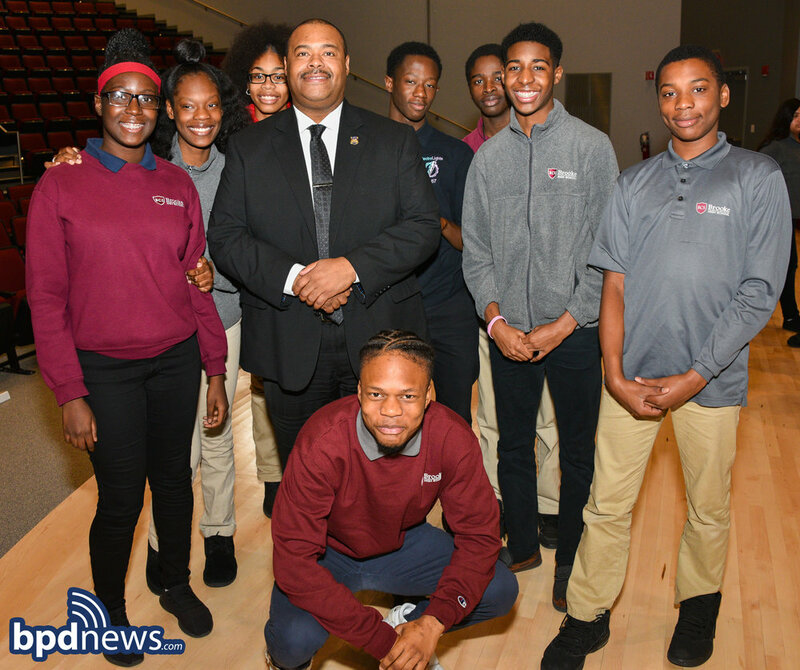 BPD in the Community: Earlier today, on Thursday, November 8, 2018, Commissioner Gross addressed students, faculty and staff at Brooke High School in Dorchester. The Commissioner was interviewed by an aspiring student journalist about his decision to become a police officer, his career with the BPD and ascension to his present position as Boston’s Top Cop. The Commissioner addressed several questions and topics while sharing his thoughts on the importance of education, pride, inclusion and tolerance. Students took the time to speak to the Commissioner in small groups and even one-on-one after the main presentation. There were plenty of follow up questions at the end of the Commissioner’s presentation which led to even more meaningful discussions, smiles and even a few hugs.